For the past couple of decades, the number of states allowing drivers ed students to complete their coursework online has continued to increase. Here we are in 2019, exactly 21 years after the first online drivers ed course launched, and there are now dozens of online driving programs across most states. As a former driving instructor, you might assume I’m against these online drivers ed programs, however, the opposite is actually true. Want The FAST Answer? Check out my #1 favorite online drivers ed course here. The fact is, most students don’t learn drivers ed course material very well sitting in a classroom being lectured to. Driving is more of a visual subject and is best learned through a variety of platforms depending on the topic being covered. For instance, learning about traffic signs isn’t something that is retained well in a classroom. However, with an online drivers education course, they can use interactive games, quizzes, and other ways to help students retain the information. There are many other examples where this is true. The online driver’s ed reviews you’ll find listed below are the schools I personally recommend based on my years as a driving instructor and co-creator of the worlds largest free online CDL training program. There are lots of schools to choose from, but in my opinion, the below online drivers education programs are the best. Yeah, I’m probably the only person in the history of mankind claiming to be an expert of online drivers ed courses, but it’s true. Not only am I a former long-haul truck driver and certified driving instructor, but I am also the co-creator of the most popular free online CDL training program in the World. In addition, I actually take the below courses personally, every year, to make sure quality isn’t suffering over time. Anytime a new online drivers ed course is launched, I check it out and add it to this list if necessary. If there was ever an expert on this subject, I’m it. Hey, some of us become architects, some become doctors, and others send Teslas into outer space. Me? I review driving schools. By the way, a bit off topic but can you believe the below picture is actually real?? Just incredible! For those who don’t care about my detailed reviews or what I look for in an online drivers ed course, here is my quick list of the top 6 online drivers ed programs for 2019. My suggestion is to check out each of the below schools and simply choose the one you’re most comfortable with. Otherwise, if you still can’t decide, you can scroll down to my more detailed reviews and why I’ve ranked them the way I have. I review online drivers ed courses much more stringently than my online traffic schools. When a teen is learning to drive, they are forming habits that will likely last the rest of their life. While our vehicles are becoming much safer, auto accidents remain the #1 cause of accidental death in every age group. Driving a vehicle is hands down the most dangerous thing we perform on a daily basis. What a teenager learns now will dictate their risk level of a major accident for the rest of their life. Unfortunately, many online drivers ed programs conform to a “set it and forget it” business model. In other words, they create a course, milk it for as long as they can until it gets outdated and sales suffer. Then, they start the whole process all over again. This has resulted in scores of very low-quality courses. Unfortunately, 2019 marks the 21-year point since the first online drivers education course was created, so the number of outdated programs out there have only grown. I primarily look for courses that not only fulfill minimum state requirements but those that go above and beyond. For example, a text-based course with no type of interactive learning methods is an example of a course I wouldn’t recommend. For about the same price, you can get much better alternatives that have interactive features built in to help retention rates, high-quality graphics and animations to help explain the rules of the road, and the ability to take the course from any device. All the online drivers ed courses I list below meet these criteria. I contacted the below online driving schools and asked if I could get some discounts for my website visitors. Fortunately, they were happy to supply me with them. I also do want to be upfront that if you use my exclusive referral links below, they also throw a few bucks my way, which of course I really appreciate. You get a small discount and I get a small commission for putting in the time and effort to create this site. Seems like a win-win to me! Without further blabbering from me, here are my recommended online drivers education courses for 2019. These aren’t the only options available. In fact, there are more online drivers ed courses than I ever care to review. But if you stick with one of the below schools, I can just about guarantee you will be satisfied (and the below schools DO guarantee it!). Aceable is without a doubt my top pick for every state it has been approved in. They are gaining approval in new states all the time, so click here to see if Aceable is available in your state. If they are in fact approved for drivers education in your state, look no further. This is the single best online driver training course that has ever existed online and I’ve pretty much gone through them all. What makes them so much better than everyone else? Quite simply they are the most modern course available with amazing features that nobody else offers. It is also the smoothest running online drivers ed course for mobile devices and tablets. While any of the courses I listed below will also be higher quality, if you compare the Aceable site to the others, the difference becomes pretty obvious very quickly. That difference in quality definitely carries through into the course. If it’s approved in your state, without a doubt choose Aceable. 2019 Update: Wow, Aceable is just incredible. They were already the best online drivers ed course in 2018, but that didn’t stop them from continuing to make improvements and updates to the course. In 2019, Aceable is better than it’s ever been. If you plan to take your drivers ed class using a smartphone or tablet, I can’t recommend Aceable enough. Nobody even comes close to how well this course works on mobile devices. While there are several great options for completing your drivers ed requirements online, Aceable is easily my top pick for 2019, just like how it was my top pick last year. These guys are in a league of their own. Get The Lowest Price On Aceable Here! Want More Info? Check Out My Full & Detailed Review Of Aceable! Here’s a course that has been around for a really long time. 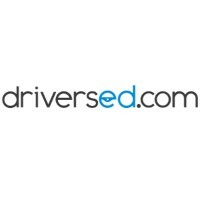 In fact, DriversEd.com was launched way back in 1998. Fortunately, this online drivers ed course has not allowed itself to become outdated. This school recently upgraded all of their videos and animations, as well as spruced up their mobile app and quiz platform. Quite frankly they’ve done a fantastic job with it all! Like all the other schools I recommend, they also include resources for parents and they’ve got an A+ rating through the Better Business Bureau. What I like most about DriversEd.com is the animated characters throughout the course. By the end of the course, I was kind of attached to that animated family! Whether you go with my top pick Aceable or this one is all about preference and who you think looks better. They are both great options. Save 5% By Using This Discount! I never really liked this course before because it was getting really outdated. I’m happy to say, it just went through a major facelift prior to 2018 and it’s much better! I still think some of the courses I listed higher up are much better quality, but the prices on this one are usually a little lower. Aside from the quality of the course being a bit lower, the company is solid with an A+ rating at the Better Business Bureau, more than 10 years experience, offer a money-back guarantee, etc. While I can’t claim this is one of my personal favorites, I still thought this online drivers ed course was good enough to list here and allow you to make the decision. This is also probably the cheapest course on my list, so if you’re on a budget, this is definitely one you’ll want to consider. 2019 Update: Teen Driving Course has been going crazy with course updates lately. I actually moved this course up on this list of recommended online drivers ed courses due to the massive improvements they’ve been making. The most notable improvement for 2019 is the freshly updated videos. Not only did they update the videos, but the videos are now also interactive. For example, there’s a video teaching about the different parts of a car where students interact with the video to help learn and retain the information. Due to the upgrades they’ve made over the past year, I am comfortable saying this is one of the best online drivers ed courses in 2019. Here’s another good option, particularly if you’re on a budget. I don’t think it’s the highest quality of the bunch, but it’s a good one for the budget minded. Of course, the company is rated with an A+ through the Better Business Bureau, they’ve been around more than 10 years, and I’ve had them on my website for several years now without a single complaint. I have no plans on deleting this course from my list in 2018. The reason I don’t like them as much is that everything is lower quality. They’ve got the animations, graphics, and videos, but it’s simply lower quality than my highest rated courses. However, they are legit and I know a lot of people like to buy based on price. Use the link below to check for current pricing, but chances are, they are the cheapest online drivers education course you’ll find. 2019 Update: Driver Ed To Go is another online drivers ed course that I moved up on this list for 2019. While I’ve always recommended them as being a more budget-friendly option, their course always seemed a bit bland and outdated. This has all changed over the past year as they have been very busy making improvements. It works better on mobile devices than it ever has in the past and they have replaced just about every video in the course with new ones that are more modern. Driver Ed To Go remains one of the cheapest online drivers ed courses out there but now has the quality to go with it. That easily makes this one of the best online drivers ed courses for 2019. To date, iDriveSafely has historically been one of my favorite online drivers ed courses and they’ve been around since about 2000. For starters, they have an excellent reputation. They’ve been running online drivers ed programs for well over a decade and have a graduating customer base of about 6 million students as of 2018. In addition to the good things said about them in forums and review sites, they have also maintained an A+ rating with the Better Business Bureau. I also like that they provide both student and parent resources. When a young adult is learning to drive, it should be a combined effort between both teens and parents. The separate parent guide is a big help in that regard. Of course, they have a money back guarantee, 24/7/365 customer support, and offer videos, animations, and interactive games to keep things interesting. The only reason I took a star away is because this course has become a bit outdated and doesn’t work as well on mobile devices as some other courses. Otherwise, the course material itself is still excellent. 2019 Update: iDriveSafely hasn’t changed much over the past year but they did make a couple of notable improvements. First, they updated their “identity verification system”. In many states, online drivers ed courses are required to verify your identity to make sure you are really the one taking the course. This system was prone to issues, but they completely overhauled it for 2019 and it is working much better. They also expanded their customer service team as wait times were a bit of an issue. Thankfully these issues have been corrected. I’m still waiting for some improvements to be made so it works better on mobile devices, but all in all this is a great online drivers ed course to sign up for. Improv Traffic School is my favorite online traffic school and I’m really excited they are now offering online drivers ed programs in 2019. Like traffic school, online drivers ed can start to get boring after a while. Learning about driving statistics, how to calculate safe following distances, and learning about traffic signs just isn’t all that engaging. Luckily, the folks from Improv Traffic School are capitalizing on this. A bunch of stand up comedians from the Improv Comedy Club decided to educate through humor and it works wonders. In fact, they have a name for this type of education. They call it “edutainment”. The retention rate when people are laughing and having fun is much higher than when the traditional “serious” (aka: “boring”) approach is used. This school isn’t available in all states yet, but if it’s available in your state, I highly recommend them. Not everyone is into the slap stick style comedy this course uses, but if you’re a sucker for humor, this is a great option that will have you laughing while yo ulearn. Just choose your state from the drop down menu and see if it’s available for you. 2019 Update: While Improv Traffic School didn’t make too many updates or changes to their course over the past year, this remains one of my favorite online drivers ed programs simply due to their unique teaching style. There are two main issues I have with Improv Traffic School. The first issue is that the course is a bit clunky on mobile devices. While the course is mobile friendly, it uses a browser instead of an app, making the course run a bit slow and sometimes a little glitchy. The second issue is they aren’t approved in too many states for online drivers ed as they are primariy a traffic school. However, even with these minor issues, Improv Traffic School is a personal favorite of mine since I’m a sucker for comedy. If you have a good sense of humor and want to have some laughs as you go through your drivers ed course, Improv Traffic School is a fantastic option in 2019. Your first order of business is to find a stellar driver’s ed course and an A-list driving instructor to provide the best possible training. If you’re up for the task, the best way to ensure that is to make yourself the instructor. That’s right, you can be the instructor, thanks to Safe2Drive’s Texas Parent-Taught Driver Education program. Safe2Drive is operated by Inventrum, LLC, which was founded in 2003 and provides online defensive driving, traffic safety, and driver’s ed courses in 11 states. Safe2Drive’s Texas Parent-Taught Driver Education (PTDE) Course is approved by the Texas Department of Public Safety. 2019 Update: I’ve been following Safe2Drive for a few years now and I have seen essentially zero changes to their course in that time. 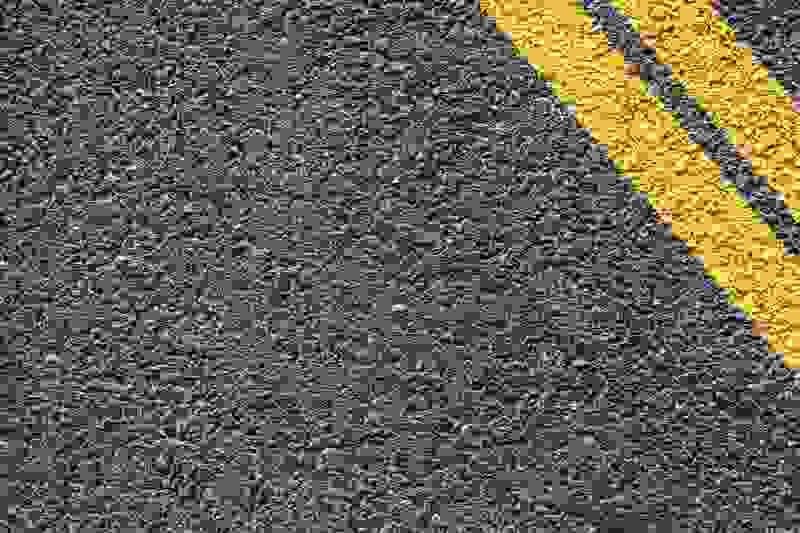 While Safe2Drive is certainly a legitimate option for online drivers ed in 2019, the course leaves a bit to be desired. As each year passes, this course gets more and more outdated. It doesn’t work very well on mobile devices and it just feels like this course is starting to be neglected. While it’s still a viable option, I would probably encourage most people to go with another drivers ed course on this list. Are The Schools I List The Only Ones I Should Take? Online Drivers Ed Teen Driver Course – This one looks pretty solid as well. I haven’t had the time to research the company or take any demo courses, but at a glance, it looks like a pretty legit course. How Does Online Drivers Education Work In 2019? Not much has changed since 2018 or previous years. Online drivers ed has mostly remained the same for a decade. However, online drivers ed is typically custom to your specific state requirements. In some states, online drivers ed can only be used to study for your driving permit. In other states, however, the process can take months and replaces the entire classroom portion of your drivers ed requirements. Check out any of the above schools I listed and then click on your state. Typically, online driving schools will state the exact process for your state. Obviously, each individual student will learn differently, so it wouldn’t be accurate to say an online course is the best for all students. Some people simply need one-on-one time with an instructor. However, in my professional opinion, the majority of parents are more than qualified to answer most driving related questions that might come up. Parents have been driving for many years and usually 2 or more decades (not that you’re old or anything)! That’s a lot of experience gained over many years of what I assume has been relatively accident and ticket free. Taking the course online is interactive and usually includes visuals like animations, photos, interactive quizzes, and other aspects of learning that a classroom just can’t replicate. The online courses are much more engaging as compared to traditional textbooks, workbooks, or classroom lectures. Plus, students can always rewind and go back through areas they are struggling. I wouldn’t worry one bit about taking an online drivers education course. As you can probably tell by now, I think taking an online course is a preferred method for drivers ed! I’m still working on getting reviews done for each individual state so if yours isn’t listed, I apologize. But my reviews listed further up on this page should help if you don’t see your state listed below.